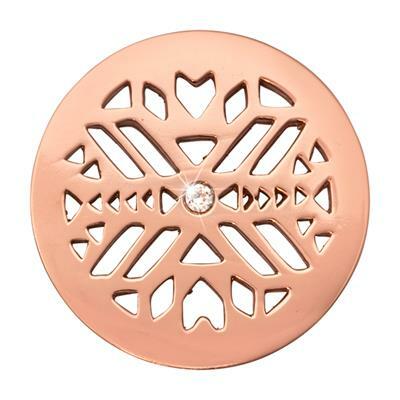 Embrace the Lost Worlds trend with this fabulous Nikki Lissoni coin. The rose gold plated Wild Spirit coin is tribal inspired with a chic Aztec design, perfect for updating your look for the new season. The Swarovski crystal at the centre adds a touch of sparkle for the perfect day-to-night accessory.